Ever wake up after a night of indulgences to an upset stomach? How about puffy eyelids? Bloating? Stuffiness? Have you ever stopped to consider that the foods you’re eating are the culprit? 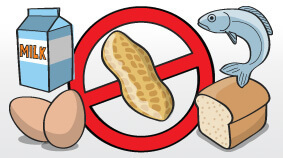 Food allergies and intolerances can vary from subtle symptoms like gas, bloating, stuffy nose or abdominal discomfort to severe life threatening anaphylaxic reactions. The more serious reactions obviously discourage the intake of these foods, but the mild intolerances often go unnoticed for long periods of time. Ongoing food intolerances can result in weight gain, bloating and overall lack of energy as the body’s immune system is constantly under slight stress. If you think you might have a food intolerance, the best way to test it is to try an elimination diet to see how you feel. This involves removing all of the most common food allergies for 6-8 weeks. Then slowly, one by one begin to add the foods back in and monitor your body’s reactions. If you notice a return of gas, bloating, digestive discomfort or other signs of an intolerance then you will want to exclude this food from your diet. Dr. Oz has a great elimination diet plan that I have posted below. 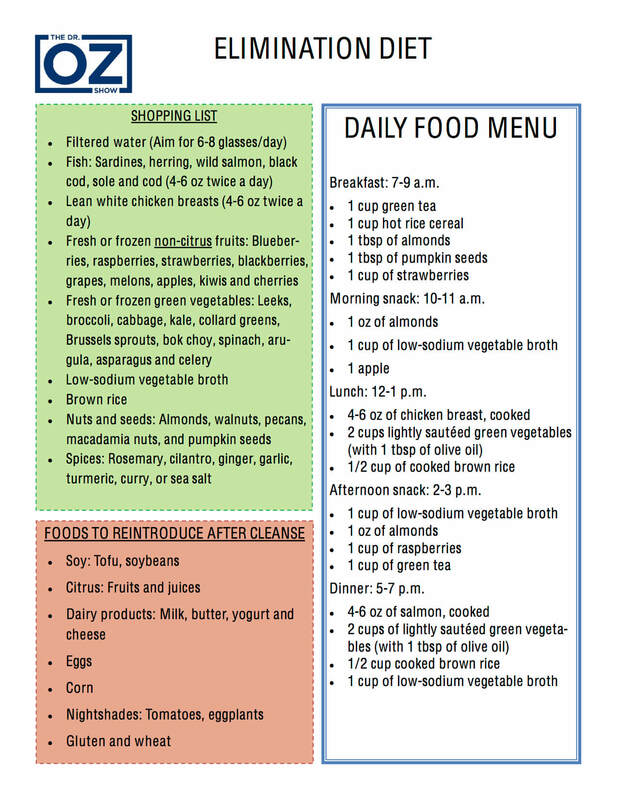 I like to follow meal plan like this at least 2-3 times per year for a week or 2 when I feel like I need to “reset.” It goes great with the Cleanse Phase of the 24 Day Challenge.